Yesterday the 87th Academy Awards Nominations for the 2015 Oscars were finally released! If you’re like me and love watching this award show year after year, you know the exciting feeling of finally finding out which of your favourite stars have a shot at taking home the grand prize. 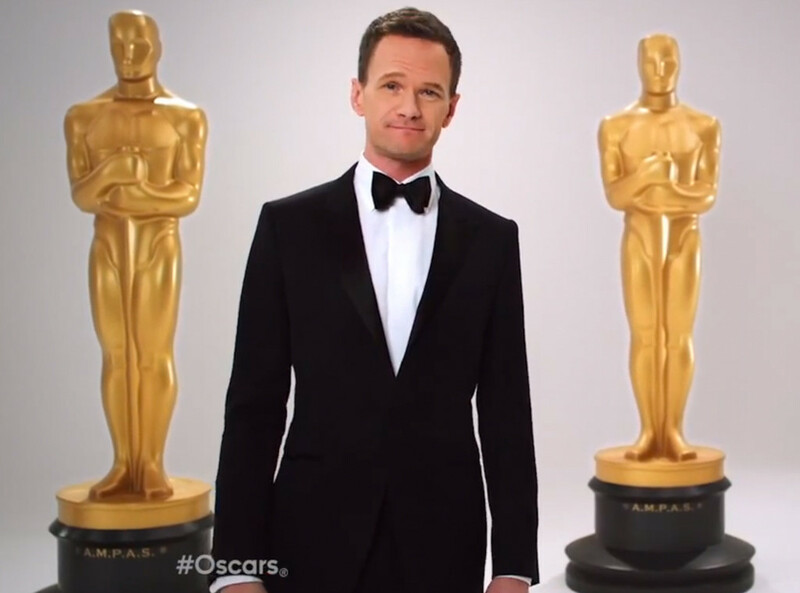 My Oscar excitement began back in October when Neil Patrick Harris posted the below video on his Instagram. I cannot wait to see what magical performance NPH will give, as he takes on his first time hosting duties on Sunday February 22nd. The academy can list up to 10 nominations each year, however this year they decided to only include eight films with no real surprises. I’m personally pulling for American Sniper, The Imitation Game, or Selma as they are my favourites of the group. I’m excited that Bradley Cooper was included as the surprise nomination of the bunch. However, I’m shocked that David Oyelowo did not receive the recognition he deserves for his portrayal of Martin Luther King Jr. in Selma. I’m personally pulling for Benedict Cumberbatch as he gave a breathtaking performance as mathematician Alan Turing in The Imitation Game. Marion Cotillard was the HUGE surprise nomination for this group, as many had predicted either Amy Adams (who WON a Golden Globe on Sunday) for her performance in Big Eyes, or Jennifer Aniston for her performance in Cake. I’m personally pulling for Rosamund Pike to win as I loved her performance in Gillian Flynn’s Gone Girl. However, after that all being said Julianne Moore is the predicted winner for her gripping performance in Still Alice, as a linguistics professor that is struggling with an early onset Alzheimer’s diagnosis. Bennett Miller was the definite surprise nomination as Selma was snubbed AGAIN with Ava Duverney being left off of the list. I’m personally hoping The Imitation Game director Morten Tyldum takes home the prize, as again this film was my favourite of the bunch. If you want to see the full list of nominations check out the link below to the official 2015 Oscars website.